Ever since there have been cars, there have been car seats and, over the years, lots of different materials have been used to pad them. Originally these materials were from natural sources but when plastics showed up in the 1950s, foam-based seat padding was developed. 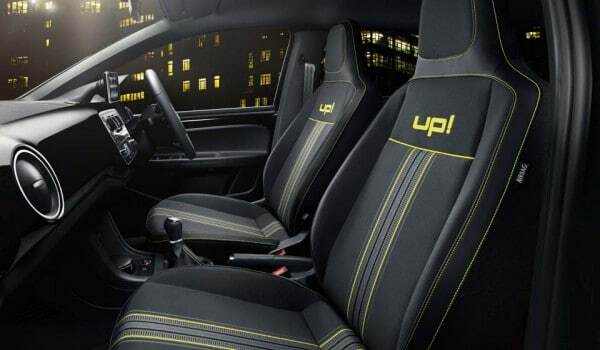 As you are likely aware, the comfort of automotive seating is big selling point today so a great deal of work goes into seat design and the materials used. Let’s take a look at how this rather pedestrian subject, automotive seat padding, and see how it has changed over the years. The first car seats were essentially the same type of seats that horse-drawn carriages used. Typically they were leather covered seats with metal coil springs covered with horsehair padding. This style of vehicle seating was used for many years by a variety of automobile manufacturers. Natural materials, like horsehair tend to degrade over time and one of the first to address this problem was Henry Ford. The engineers at Ford developed a technique whereby horsehair was coated with natural or synthetic rubber. This gave the horsehair a nice resilient feeling and it greatly prolonged the life of the padding. Around the same time (1920s), several manufacturers used coconut fibers treated with natural or synthetic rubber in their seating. This was an alternative to horsehair and had the advantage of being naturally sanitized. Plus, great quantities were available and it was cheap. Latex foam was developed in the 1930s. Latex foam is constructed from the milk or sap from a rubber tree. This is called “natural rubber” and it is still used for products such as gloves, catheters, balloons, hoses, belts, and swim caps. Latex foam was a big advancement over earlier padding and the automotive industry switched over to it quickly. Latex foam remained a mainstream material until the 1950s. Polyurethane foam is made from petroleum. It replaced latex foam for two main reasons: the production process of polyurethane foam is easier to master and its cost is much lower than latex foam. Polyurethane foam started being integrated into car seats as early as 1958 when General Motors started using slabs of the foam to top spring cushions. For several years, polyurethane foam in slab or sheet form was the technology used for most car seat padding. Polyurethane foam can be formed into other shapes besides sheets, it can be custom moulded into any shape. The first flexible, moulded polyurethane foam car seat was developed using cast aluminum moulds heated in a hot air oven. This “hot cure foam” production was the start of a rapid takeover of the seating market. Journalists, dealer and consumers loved the fit and feel of custom moulded seating and the technique is still used today. “Cold cure foam” was developed in the 1970s. Contrary to hot cure foam it can be produced at low or even ambient temperatures. This foam has a latex/rubber-like feel, higher support factor, improved inherent flammability resistance and – most importantly – better maintains its resilience over the long term. And of course, the lower production temperature means less energy consumption. The sales department at Sheridan Ford of Wilmington, DE, a factory authorized Ford dealer, says the future of car seats and padding is unknown with any certainty but heating and cooling of seating surfaces seems to be gaining momentum. And, a push for greater seating comfort will always be a factor that car companies will work on.